Online Bookings allow clients to schedule appointments and classes 24/7. This article explains how to enable Services for online bookings. 2. 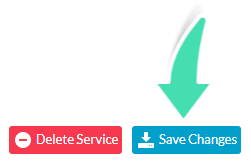 Click Services under Setup. 3. Click on the Service. 4. Tick the Enable Integrations checkbox. 5. Enter a Name that will be displayed online for the Service. It can be the same as the Name displayed on the Diary or something different to help Clients select the appropriate Service. 6. Add a Description that will help Clients make their choice (optional). 7. Choose if the Price is to be displayed online or not by ticking the Show Price box. 8. 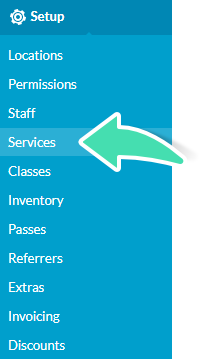 Make sure the Category is accurate and clear as Services and Classes will be sorted by Category on the Online Bookings page. 10. Repeat these steps for each Service that will be available for Online Bookings. Enabling Staff members and Services/Classes is not sufficient to have them diplayed for Online Bookings. The configuration of the Locations is essential. See Setting Up Online Booking Locations for assistance with this step.